Despite the wave of new brewery openings in recent years, you can practically count on one hand the number of municipalities here in Massachusetts that have more than three of their own (see below for that list). Within six months, however, the city of Beverly will require those keeping count to use one more finger. In fact, by then it should have enough breweries of its own to greet visiting craft beer drinkers with a high five. It hasn’t always been that way. When residents Paul Gentile and his wife Christen opened their downtown nano brewery and taproom, Gentile Brewing, in March of 2016, it would have been hard to imagine Beverly as the epicenter of a fast-growing craft beer scene (at the time, the North Shore brewery map was pretty bare). But if things go according to plan for the half dozen pending breweries in the area, it will soon be regarded as the region’s beer capital. For his part, Gentile thinks it will be a good thing, citing the often used a rising tide lifts all ships example. “We’ve got a great brewing community here on the North Shore,” he says. “It’s breeding competition, and that should be good for the area.” As long as the new breweries pay attention to the quality of the beer they’re producing, and he thinks they will, the area could become the next craft beer destination: a place that beer aficionados travel to and spend the better part of a day at, often visiting multiple breweries. His other advice for future neighbors is to expect some speed bumps along the way to getting open. ” We had planned for a Thanksgiving opening, then it was pushed back to Christmas, followed by Valentine’s Day,” he recalled. “Ultimately, we opened on March 4th, but rushing things and having it go poorly was not an option.” It paid off. Making quality beer and providing a welcoming taproom has created a steady stream of visitors, many with their dogs and kids in tow, partaking from his eight tap lines of classic style beers along with eats from food trucks or local pop-up vendors on weekends. A running club even starts and finishes at the brewery on Thursday nights. “We like that it has become a community gathering space,” says Gentile. It’s likely that the community feel will extend to the four pending breweries joining Gentile within the city limits as well, all of which will also be owned by Beverly residents. The closest, Old Planters, who currently hones recipes in its nano brewery on Corning Street and has them contract brewed, will literally be right outside his back door, at 232 Rantoul Street. Founded by self professed townies Matt Sullivan and Ben Garry in 2014, they’re currently in the process of converting what was formerly McNeil’s Auto Body into a 10-barrel brewery with 1,200 square feet of taproom space for serving their hop-forward ales. It won’t be ready until spring, but long range plans include capacity for up to 100 visitors, views into the brewhouse, garage doors to create an open air feel, and maybe even a roof deck. “We’d been looking for the right spot for a couple of years,” explained Sullivan, “before finding it right here in our home town. 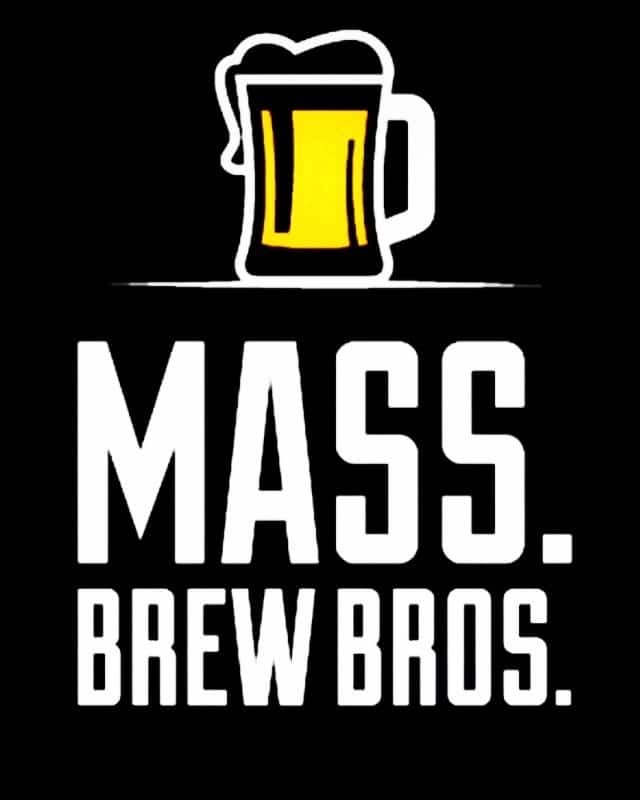 After struggling to negotiate a lease on the building we ultimately decided to buy it.” Having first worked out of their 1-barrel pilot brewery in Garry’s basement, then scaling up to 30-barrel commercial batches at nearby Ipswich/Mercury Brewing, they’re looking forward to brewing 10-barrel batches that will allow them to broaden their offerings beyond the current flagships, which include Crop Rotation IPA, Little Misery Pale Ale and a handful of others. “We’d like to do a Kolsch, some more Stouts, and try some experimental barrel-aged stuff,” says Sullivan. Another nearby neighbor will be Backbeat Brewing, located further down Parker Street in a 6,400 square foot building (which you may have noticed was recently painted) across the street from the Beverly Depot MBTA Station. The venture of longtime home brewer Pete Harkins, he’s planning to have a coffee roaster business in addition to the 3-barrel brewery and large taproom space. “We’re hoping to finish construction by the end of the year and open in time for one hell of a St. Patrick’s Day party,” he says. If it’s a brewery that does specialize in hazy, hoppy beers you want, then navigate to the other end of Rantoul Street where Channel Marker Brewing, who we wrote about earlier this summer, has taken up residence in the Porter Mill Building. Co-founders Justin Negrotti, Tim Corcoran, and Jake Crandell (they’re all townies too) have already received their federal and state licenses and the buildout of their cozy 44-seat taproom begins today. They are targeting a December opening. Another fully licensed nano brewery that will call Beverly home is Wandering Soul, though it’s likely to start out as a contract brand. Founder Matt Smith, former Director of Operations at Clown Shoes, is currently perfecting recipes on a half barrel pilot system in a shed in his back yard and hopes to have four of them ready for commercial production by next spring. The first, Melody Maker IPA, is named after his first daughter, who he and his wife tragically lost at birth and for whom the brewery will be dedicated. “I want the brewery to be about something bigger than myself,” says Smith. “A cause that’s near to our hearts is how society struggles to deal with grief, and maybe this can be a way to help improve that.” He hopes to bring more awareness to the issue and will donate part of the proceeds from his beer sales to help others who are dealing with the type of tragedy his family experienced. While Beverly may be area’s leader when it comes to breweries per capita, it isn’t the only hotspot emerging on the North Shore. Two more beer makers in next-door Peabody, Granite Coast Brewing and Essex County Brewing, are nearing an opening. Another, East Regiment Beer Company, will become Salem’s third brewery when it opens in coming months. 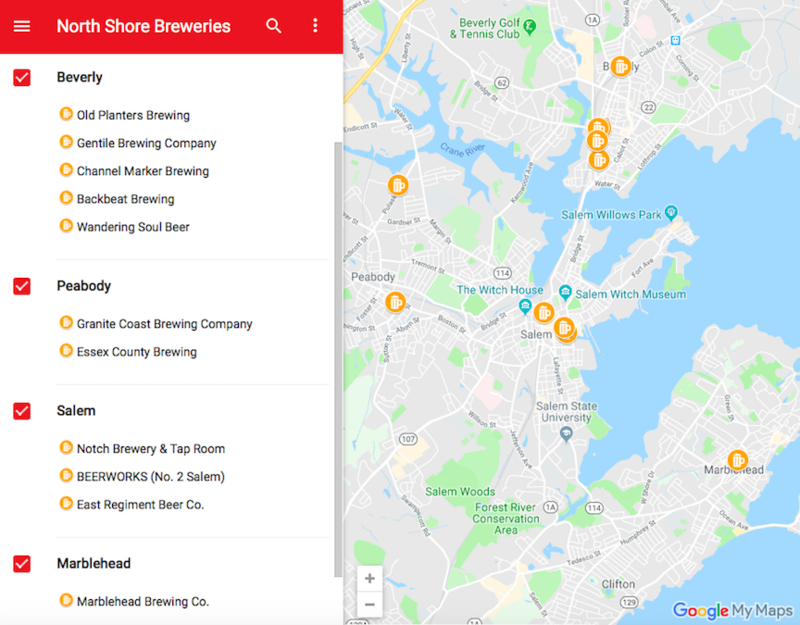 And current contract brand Marblehead Brewing has future plans for its own brewery, taproom and beer garden in downtown Marblehead. In all, the four seaside communities will boast a total of 11 breweries within a 20-minute drive from each other when its all said and done. 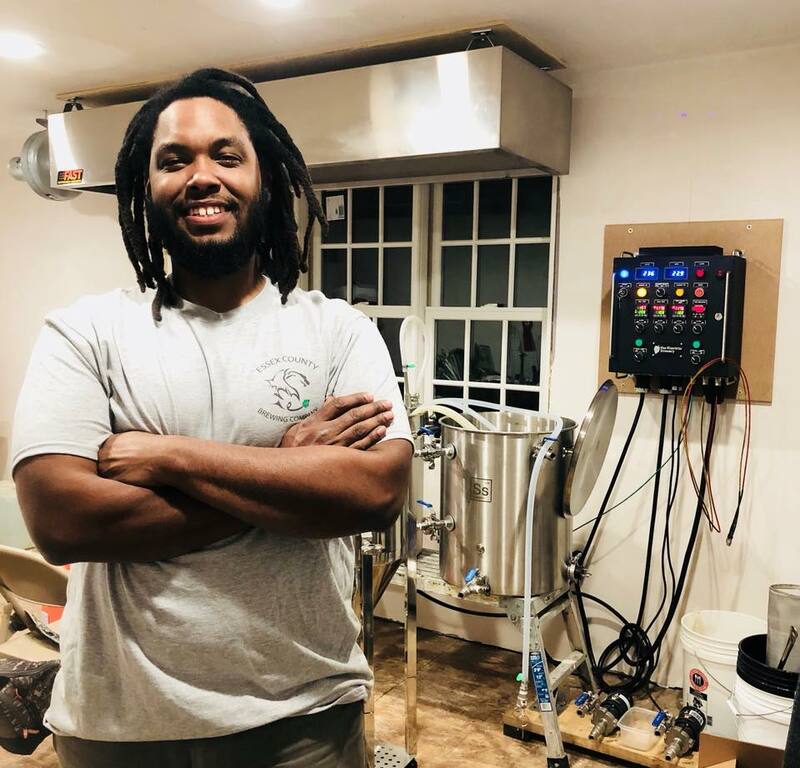 Home brewer Julian Miller will take his award-winning recipes to the next level when Essex County Brewing opens in Peabody. Of the bunch, Essex County Brewing appears to be the closest to opening, with their sites set on an October debut. The name is a reference to the various towns the co-founders hail from, all within Essex County. Heralded home brewer Julian Miller will brew on a one-barrel system in a former leather tannery building on Pulaski Street. The plan is to start small, focus on quality, and sell pints, flights, and 4-packs of 16-ounce cans out of their brewery and taproom a few days a week. Established recipes include a trio of IPAs (single, double, session), a Kolsch, a Saison, and a few other seasonals. “We’re excited to share our beers with the public, and to be part of the developing beer scene up here,” says co-founder Pete Doig. Part of what has the potential to make the North Shore beer scene unique is the interconnectedness of the social circles many of the brewers seem to run in. The Old Planters co-ounders say they’re excited to be neighbors with Gentile, practically everyone seems to know Granite Coast co-founder Jeff Marquis, who until recently worked at home brew shop Beer and Wine Hobby in Woburn, and the trio at Essex County Brewing all met at an Ales For ALS charity home brew competition, which Miller won. “A lot of us on the North Shore have been aware of his talent for a while,” says Gentile. “Whenever he brews something new, we’re all excited to try it.” Given the camaraderie that exists, it’s safe to assume that some tasty North Shore collaboration beers are in the near future. 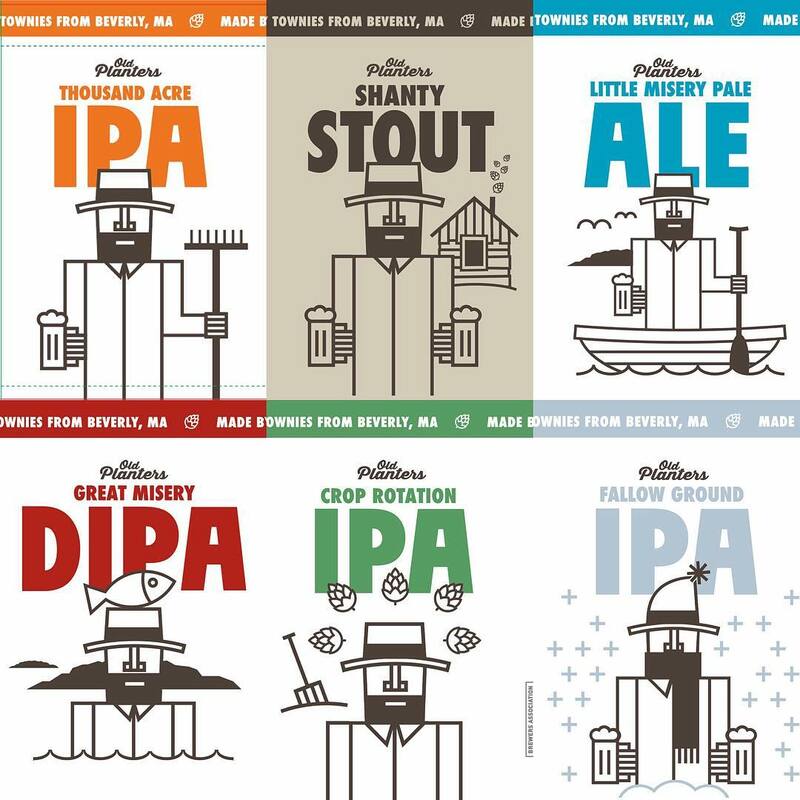 *Massachusetts municipalities with more than three breweries: Boston (11), Somerville (5), Worcester (4), Framingham (4), Plymouth (4), Northampton (4). I’m happy for the Beverly beer scene; I’ve been to Gentile (very cool space, good beer) and had a few of Old Planters’ beers (excellent IPAs; I found them first on draft in Beverly, now they’re available here in Western Mass). My daughter lives in town and I look forward to trying the other breweries when they’re open. I have a question about the footnote, though – I’m aware of only 3, not 4, breweries in Northampton – Northampton Brewery, Building 8, and Brew Practitioners. Are you including Beerology, the homebrew shop? Or am I missing some other new brewery in my own backyard?